Style Dots Boutique Socials happen anytime, anywhere, anyplace! Homes, coffee shops, conference rooms, happy hour, restaurants, online and anyplace that women gather! 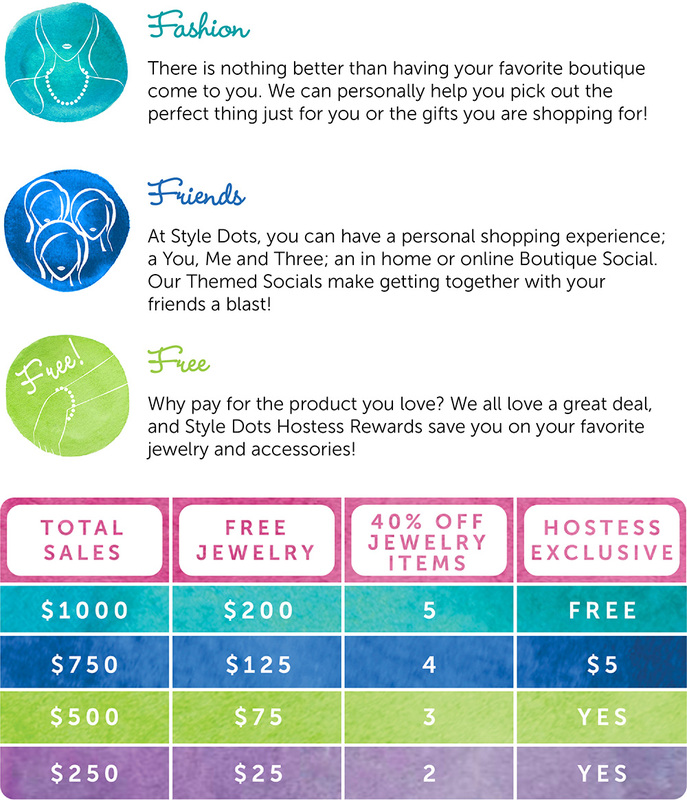 All it takes is you, a few friends and you can earn free and discounted Style Dots product! Our Boutique Partners will tailor a Boutique Social just for you! Find a Boutique Partner near you and get the fun started today!